This morning was day one of getting myself back in my morning routine. There’s something about gettin’ my sweat on first thing in the morning that keeps me on track for the rest of the day. Since it’s Thursday, and since I can, I am also going to take a yoga class. I don’t usually do two workouts in one day, but this is one of the only classes that I have found that fits with my work schedule, so I definitely want to take advantage of it when I can. It also is one of my goals for the year to do yoga twice a week. Restore the Core is an intensive mat-based Pilates class. Strengthen your core and lose your low belly sag with our mat-based pilates class incorporating flat bands and pilates balls. No impact. No cardio. All core. I don’t do core work as much as I should. I do it maybe once a week, I’m really bad about it. I am hoping this class will strengthen my core and boost my confidence in doing more core exercises. I don’t do a lot, because I’m always so self-conscious about my form, especially at the gym. One of my very best, and most inspiring friends Meghan will be teaching the class. You’ve probably heard me mention her before. She was my 5k training instructor, and she is the owner of Baby Boot Camp Albuquerque, as well as Karna Fitness Albuquerque. If you are looking to get in shape, tone up, or just be motivated, you definitely need to take classes with Meghan. She has a great energy and will help you meet your fitness goals. Small group training for women. Personalized for every fitness level. Karna Camp is high intensity interval training designed to get your heart rate up and tone your muscles fast. Bring a mat and towel and get ready to sweat! This is a twice a week for 6-weeks class. It unfortunately doesn’t fit in my schedule…super bummed! Classes start next Monday, January 7th, so head over to the Karna fitness website and sign-up now! You can also learn more about Meghan, and Karna Fitness, by visiting the website, or liking them on facebook. How are you about doing core work? Do you do more than one workout a day? This entry was posted in Local Buys (Albuquerque), Workouts and tagged ABQ, circuit workouts, goals, Karna fitness, workouts, yoga on January 3, 2013 by Adrienne. I just started incorporating yoga too! It’s a nice mix up. I do core every day (or try to) and when i do, i notice a difference and feel strong. good luck at your class! Happy new year! I’m really looking forward to doing more yoga. That’s awesome that you do core everyday, I am so bad about it, going to get much better though! Thanks Adrienne! You’re the best. I can’t wait to start classes next week and help you to achieve your fitness goals. You rock! You are very welcome. I am pretty pumped to start class next week as well! Hi, I'm Adrienne! I'm a working mom, fitness enthusiast, and amateur photographer living in the suburbs of Atlanta, GA. I live for a good cup of coffee and kisses from my toddler. 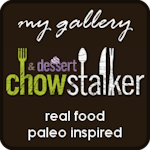 This blog follows my life and my love for family, food, and mostly healthy living. Thanks for stopping by! Become a fan in Facebook! I am not a medical professional. The information presented here is that of my own knowledge, experiences and beliefs, and should not be viewed as medical advice. I am certified personal trainer, the workouts I share here may not be suited for you. Please consult your physician before beginning any diet or exercise routine. Happy Ramblings is a participant in the Amazon Services LLC Associates Program, an affiliate advertising program designed to provide a means for sites to earn advertising fees by advertising and linking to amazon.com. It does not affect the price of the items you are purchasing. It does allow me to keep blogging, thanks for your support!